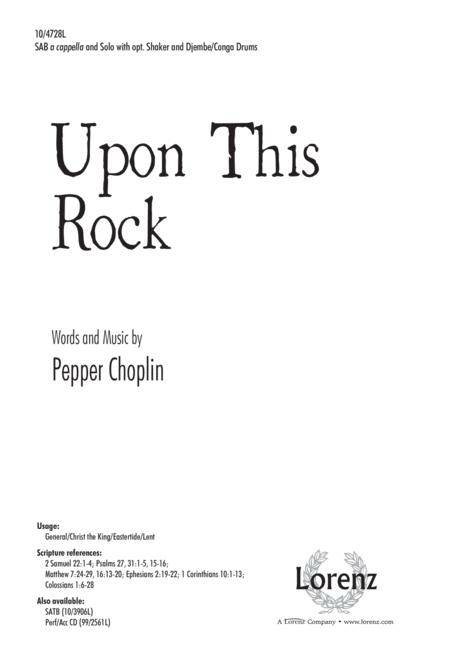 Composed by Pepper Choplin. Sacred Anthem, Christ the King, Easter, General, Lent. Octavo. 16 pages. Lorenz Publishing Company #10/4728L. Published by Lorenz Publishing Company (LX.10-4728L). 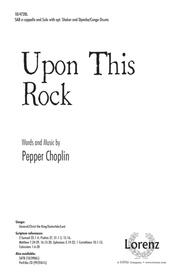 Upon This Rock is a compelling interpretation of the church's desire for unity and relevancy. African-flavored syncopation, call and response between choir and solos, and optional percussion add to the fun of this dynamic work.